This March 17, 2019 photo released by the U.S. Air Force shows an aerial view of Offutt Air Force Base and the surrounding areas affected by flood waters in Neb. Surging unexpectedly strong and up to 7 feet high, the Missouri River floodwaters that poured on to much the Nebraska air base that houses the U.S. Strategic Command overwhelmed the frantic sandbagging by troops and their scramble to save sensitive equipment, munitions and aircraft. 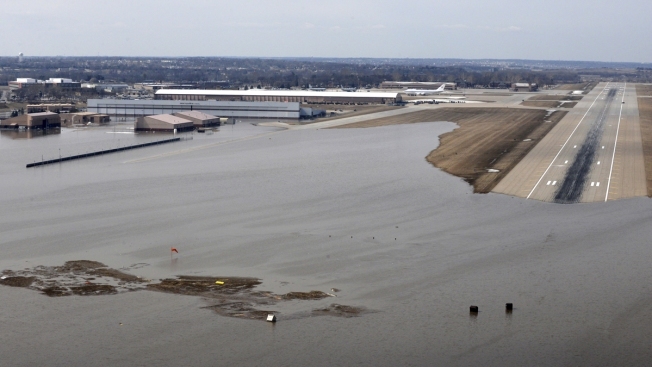 Days into the flooding, muddy water was still lapping at almost 80 flooded buildings at Nebraska's Offutt Air Force Base, some inundated by up to 7 feet (2.1 meters) of water. Piles of waterlogged corn cobs, husks and stalks lay heaped everywhere that the water had receded, swept onto the base from surrounding fields. Widespread flooding has thousands stranded from their homes across the Midwest following a bomb cyclone and a week of heavy rains. 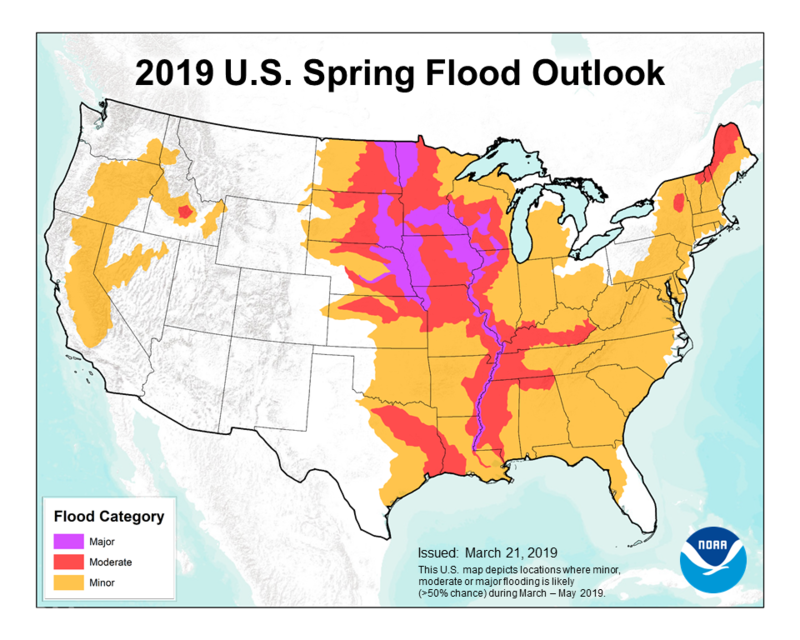 The flooding in many areas throughout the Missouri and Mississippi river basins has reached historic levels, with water pushing into places it's never been before. It is also a reminder that the kind of weather extremes escalating with climate change aren't limited to the coasts, said retired Rear Adm. David W. Titley. 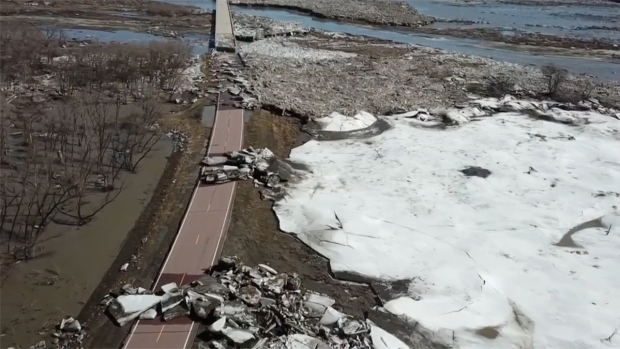 The late-winter floods that have swept over Plains states starting last week — breaching levees, halting Amtrak trains and killing at least three people — are also the second major inundation in less than a decade to hit the air base outside Omaha. But Trump has belittled his own government's warnings. During a January cold spell, he tweeted his wish for "a little of that good old fashioned Global Warming!" In response to security warnings on climate change, the Trump administration has allowed a physicist who rejects scientific consensus on manmade climate change to start organizing a White House panel to make its own determination. "It was all hands on deck," Norton said. "All through the night, we worked. It was thousands of people, in total, working to sandbag, move in huge Hesco barriers; a whole host of people clearing equipment out of facilities, moving munitions ... even crews doing things like disconnecting power. It was a massive effort." 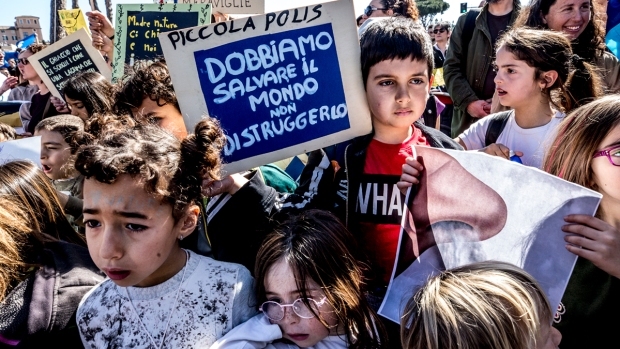 AP science reporter Seth Borenstein contributed to this report.